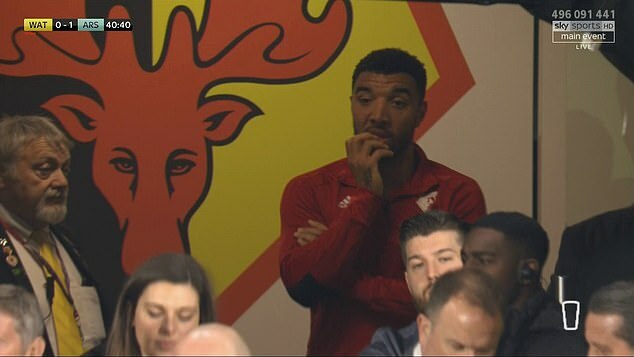 The former Walsall man pulled off his shirt in disgust and flung his captain’s armband towards a team-mate before making his way towards the dugout. 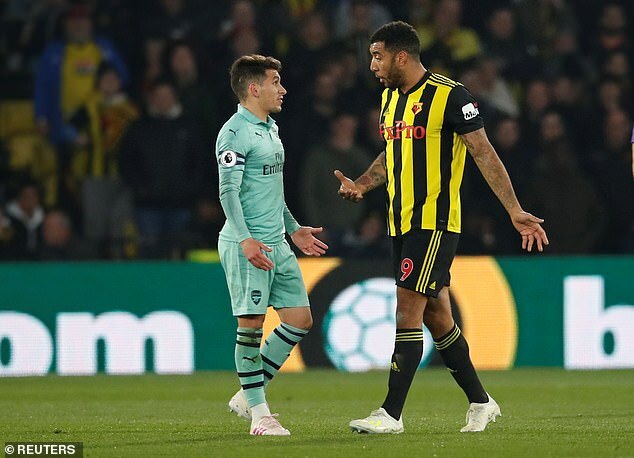 The ordeal heightens tensions between Arsenal and the Watford No 9 after he said the Gunners lacked ‘cojones’ during their 2-1 defeat at Vicarage Road in October 2017. 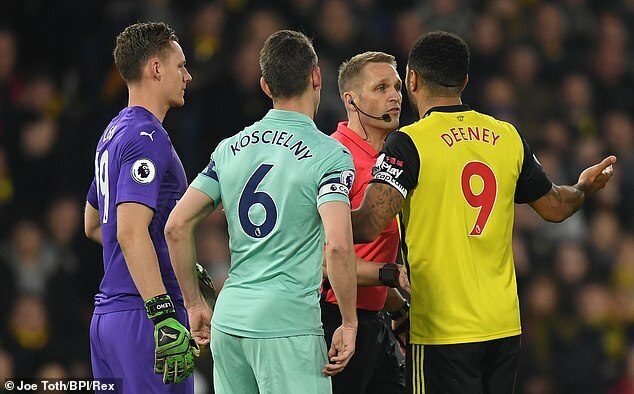 Sky Sports pundit Gary Neville said: ‘The linesman has got a great view of it. I think 15 years ago, he’s not done a lot wrong. Now, he’s got nowhere to go.